Its officially summertime. Right in between the peak allergy seasons of Spring and Fall! 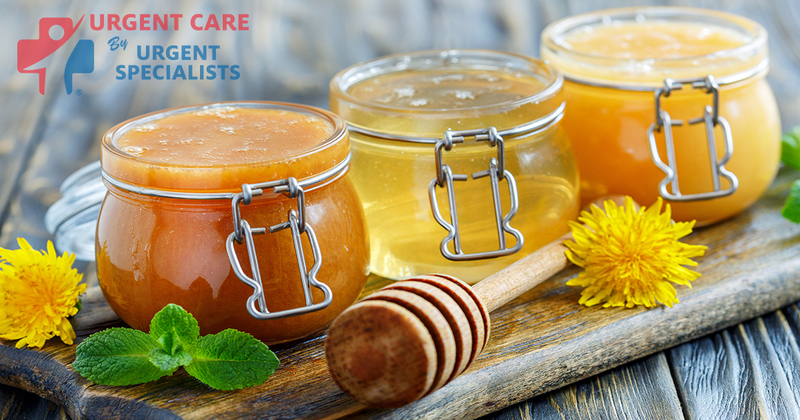 As we in southern Arizona go through the monsoon season, followed by beautiful changes to the desert, a question I hear frequently is “can I eat honey to help improve my allergies.” Now that’s a question I like to entertain as I see a lot of allergies, and I love honey! But let’s look more closely at the details. Eating honey to treat allergies is effectively like sublingual drops (drops of antigen, the stuff you are allergic to, below your tongue). This is known as sublingual immunotherapy (SLIT). The other route to administer treatment is “shots” (also known as subcutaneous immunotherapy (SCIT)). SCIT is very stimulating to the body and can cause local and/or systemic reactions. However, under the tongue the body has a much more muted response. We are very thankful for this, otherwise we would see far more complications from introducing things in our mouth that we are allergic to. SLIT is effective in treating allergies and is backed by scientific evidence. This unusual way to take a medicine, instead of simply swallowing it, the drops are left under the tongue for a minute stimulating the cells in the floor of mouth that help produce the protective effect. So the thought process is, eating local honey is similar to using SLIT and should produce a similar effect. Unfortunately, most people do not place honey on the floor of mouth and leave for a period of time. The concentration of antigen present in honey will vary. Unlike honey, the composition of SLIT will match exactly what you are allergic to, and the concentration will be far higher. This matches some limited studies that have been performed in regards to local honey. Popular Science had a study that looked at local honey in regards to relief in allergic symptoms. Once the study was blinded (the patient did not know if they were eating local honey, from somewhere else or fake honey), there was no statistical difference in relief of allergy symptoms. The downside to this study was it was limited (only 23 patients over a 30-week trial). Finnish researchers, on the other hand, were able to show a difference once excess birch pollen was added to the honey (effectively increasing the concentration of antigen administered). However, their control group did not have a placebo. They were given nothing. So, to summarize, “will local honey help me with my allergies”? Well, even though there is no strong research to support it, it certainly won’t hurt. And if you have a sweet tooth like me for honey, I say go for it!